Every year, an organization called the Environmental Working Group (EWG) publishes a guide listing the safest sunscreen formulas. The EWG has developed a 1 to 8 scale, with 1 being the safest for the environment and 8 being the most hazardous to the environment. The most recent 2012 guide rates 1,813 different brands and formulas of sunscreen using this scale. Some of the safest brands on the list included: Kiss My Face Sunscreen, Aubrey Organics, and Badger Sunscreen. The most hazardous brands on the list included: Panama Jack Sunscreen, Australian Gold Sunscreen, and Wegmans Sunscreen. Oftentimes, the sunscreens with higher Sun Protection Factors (SPF) scored lower in the EWG's ratings, while sensitive skin and organic formulas scored safer ratings. 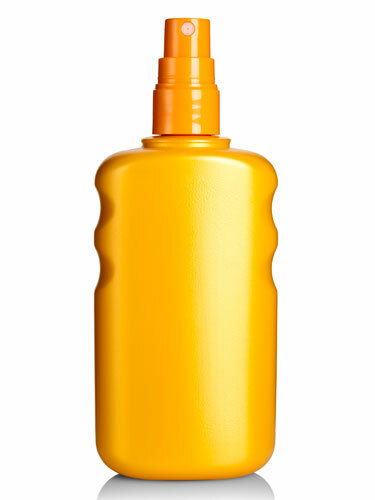 A new Sunscreen Guide for 2013 should be released in early April. How did the Three Largest Sunscreen Brands Rate? Coppertone sunscreen formulas had ratings that ranged from 2 to 7. Banana Boat sunscreen formulas had ratings that ranged from 3 to 7. Hawaiian Tropic sunscreen formulas had ratings that ranged from 5 to 7, scoring the lowest average of the three major sunscreen manufacturers.